Discover the small touches that make our local bakeries different. Is it a closeness to the land that helps our bees make sweeter honey? Is it the farm fresh eggs from down the road or the butter made creamier in our pastures by Bruce County dairy cows? Or perhaps our latitude 45°15'02.4"N simply bakes a silkier butter tart. Whatever it is, you’ll find yourself making a left when you wanted to go right just to sample a taste of a flaky tea biscuit or scone. A drive down the road for freshly baked bread. Or a long morning hike to earn a handsome slice of rich chocolate cake. 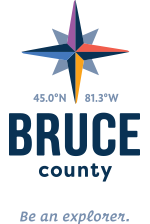 No matter how you decide to justify it, no visit to the Bruce Peninsula is complete without a visit (or several) to one of our fantastic bakeries and cafes. Tip: bring cash as some of our bakeries don’t offer debit or credit. You’ll find Little Tub Bakery just outside of Tobermory on Highway 6, making it a little out of way and easy to miss, but worthy of a discovery. Set back from the road, you have to look for the little brown-roofed building with the ice cream cones on the front. As they say, once found, never forgotten. A local favourite, arrive early if your heart is set on scoring an apple fritter or onion cheese bread (Saturdays) because this bakery is busy. While their quality baked goods including breads, pastries, pies and squares are delicious, people also rave about the homemade sandwiches, samosas and pizza … especially the breakfast pizza. There is some outdoor seating with umbrellas. Check their Facebook page for hours as they are not open daily. Just north of Lion’s Head and south of Miller Lake you’ll find this gem, Harvest Moon Organic Bakery. Indeed, it is a bakery, but it also offers a charming sculpture garden and trails to explore along with their freshly baked organic breads, bakery treats and take out lunch items such as empanadas. If you uncover the sign in the garden that proclaims “the best pies” you’ve found the right place. Its charming exterior and funky buildings are a taste of the exquisite delights that wait for you inside all made from fresh, top quality, locally-sourced ingredients and certified organic Canadian grown flours, grains and seeds. Come for the baking but take out delicious lunch options ranging from pizza to burritos to vegetarian options. You’ll find yourself eating lunch under a shady tree before you explore the gardens and charming maze. They have gluten free items as well. Park your trailer before dropping by, the parking lot isn’t large. Check their website for hours as this bakery isn’t open daily. Look for the blue house and you’ll know you’ve arrived at Rachel's Bakery and 50's Diner. If your timing is right, you’ll be hit by a waft of something delicious when you open the door, perhaps a fresh strawberry/rhubarb pie coming out of the oven. Once inside, you’ll discover lots to look at. Shining red, yellow and turquoise vinyl chairs, decorative items and memorabilia from the 1950’s adds a nostalgic charm. The bakery serves a changing variety of squares, breads, buns, pies and pastries plus organic fair trade coffee and espresso and lattes to go. If you arrive hungry, there is a full menu of delicious homemade lunch and dinner items to tempt you to stay, from salads and juicy burgers to soups and sandwiches with specials daily. In the off-season they sometimes close early. If it’s getting late, call ahead to make sure they’re open. From the moment you park your car at Northern Confections, the delicious aroma of their baked goods beckons you inside. This roadside market and bakery is a popular stop for travellers on their way up the Peninsula. Here there’s something for those true foodies looking for all things made local … fresh fruits and vegetables with local items in season, cinnamon buns, pies, carrot cupcakes, tarts, breads and other baked goods at the bakery. When you’ve ticked every item on your list you may want to sneak a cookie out of the bag that you’re hiding from the kids, as you browse the country craft section. Open late on Fridays in season.